You may think that the only exfoliators on the market are gritty little scrubbers, or products with beads or granules in them. Think again. Chemical exfoliators offer the same smooth results but are far less irritating to your skin. Never heard of chemical exfoliators? You’re in luck. We’re here to teach you about one of our favorite chemical exfoliants: Glycolic Acid. And don’t be scared of the word acid! This acid is one you’ll want to get your skin familiar with. Glycolic acid is one of the best chemical exfoliators out there. Small but mighty, doctors and dermatologists alike can attest to glycolic acid yielding the best overall results for the largest crowd. Those results are thanks to glycolic acid’s small molecule makeup which allows it to penetrate almost any skin type without irritation. 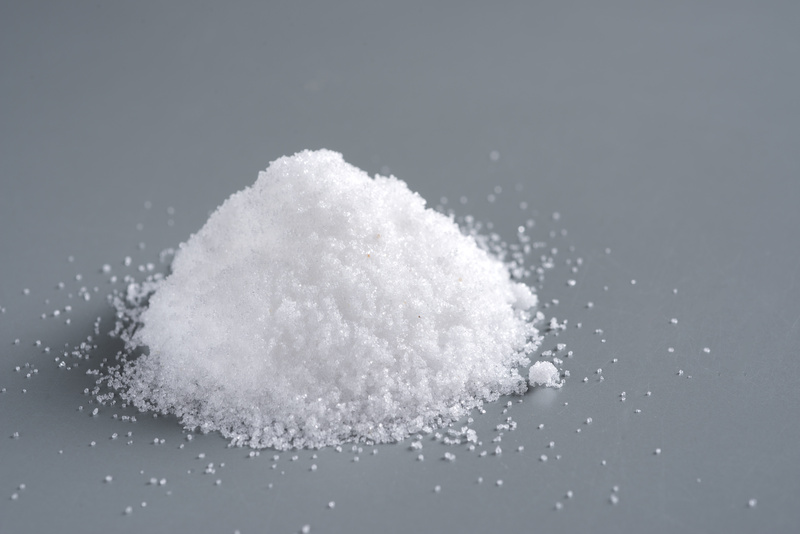 Glycolic acid falls into the category of alpha hydroxy acids, AHAs, which are naturally occurring substances found in milk, cane sugar and fruits. These are gentle and robust exfoliants that work well on almost any skin type and can treat a variety of skin concerns. In its raw state, glycolic acid is an unscented, colorless crystal powder and it can be found in both everyday cleansers and facial washes as well as in spa-grade skin treatments and facials. 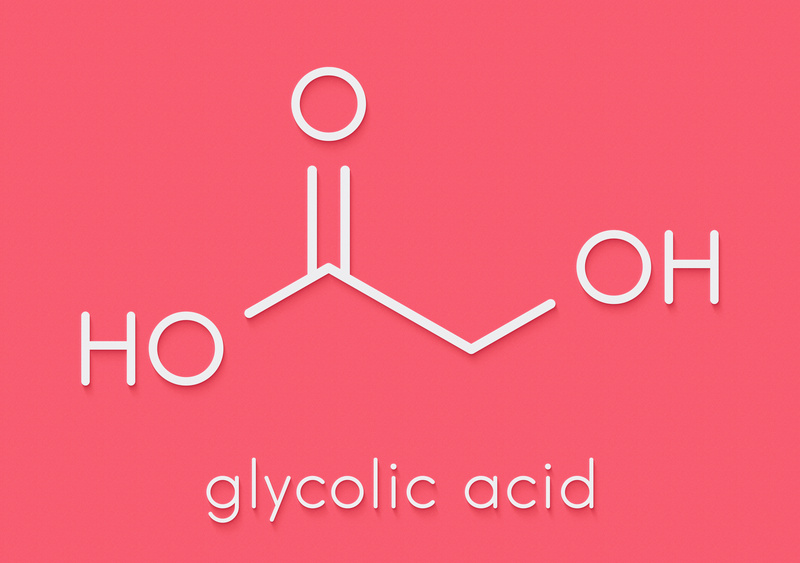 How does glycolic acid work in skincare? Glycolic acid easily penetrates through your top layer of (dead) skin cells thanks to its chemical makeup. What exactly does that mean? It’s got itty-bitty molecules that squeeze through small pores and then work hard to break down and dissolve all those dead cells, sebum and dirt trapped in your skin — and reveal a far more refreshed complexion. Who benefits from using glycolic acid? Glycolic acid is incredibly beneficial in treating uneven skin tone or texture, hyperpigmentation, scarring from acne, as well as conditions including keratosis pilaris, psoriasis, seborrheic keratosis, and melasma. 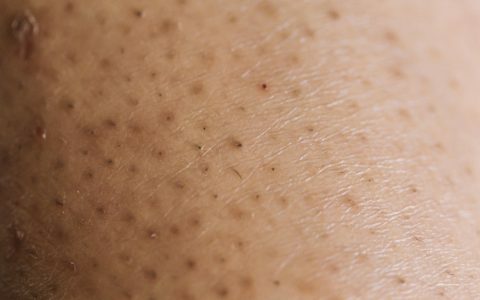 If you’re experiencing dryness or dullness on the rest of your body, look for a glycolic acid-infused body lotion or body scrub, which will help exfoliate away all those patches of dead skin. Got a stubborn ingrown hair on your bikini line or underarm? Resist the urge to pluck it out with your tweezers or fingers, which can lead to an infection from introducing new bacteria to an already infected area. Instead, reach for glycolic acid infused pads or scrub! Since glycolic acid can boost your collagen production, which is what keeps your skin supple and (sadly) diminishes with age, it’s an ingredient that can be beneficial for treating early signs of aging. That doesn’t mean it’s a replacement for your other anti-aging products, but it’s a great addition to your routine. Glycolic acid is more common than you might think — look out for it as an active ingredient in face and body scrubs, acne-focused treatment products such as cleansers and serums, a wide range of anti-aging and acne-fighting face masks, and even in certain face and body moisturizers. You’ll find it in washes — aka products that just sit on your skin temporarily — and in leave-on treatments, such as serums and hydrators, that let ingredients sink into the skin during the day or overnight. All of these products will contain varying concentrations of glycolic acid. The max over the counter strength of glycolic acid that you’ll see is 15%-20%, but you’ll more commonly read 8% and 10% on ingredient labels. Professionals will use much higher percentages, and prescription-strength glycolic acid is also available. 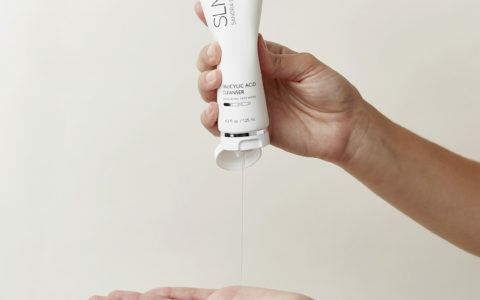 SLMD Skincare has a Body Smoothing System, which includes a Glycolic Acid Body Scrub and Glycolic Acid Body Lotion. Both contain 10% glycolic acid, were formulated to be used daily, and can treat dry/dull skin, keratosis pilaris, and ingrown hairs. Finding a product with the right pH balance of any AHA is important… everyone’s skin is different! But finding the percentage that’s right for you will means you’ll actually feel a slight tingling sensation, instead of too much redness or nothing at all. To introduce this powerful ingredient into your routine, we’d recommend looking for a product with glycolic acid as an active ingredient, versus being listed at the bottom of the ingredient list. When using an AHA like glycolic acid, you should always test a small amount of the product on your skin first, to make sure you’re not allergic or sensitive to the ingredient. As with any facial exfoliant, you shouldn’t be using it more than 2 or 3 times a week. As with all exfoliating acids, your skin will also be more susceptible to sun damage, so make sure to use an SPF when using these products!